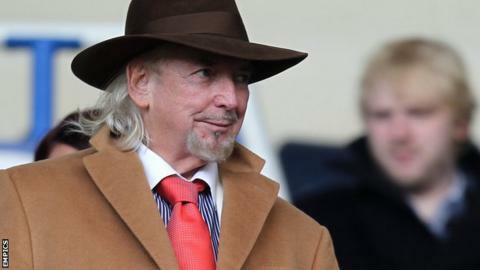 Blackpool owner Owen Oyston has asked the Supporters' Trust (BST) to clarify a number of points before he considers their offer to take over the club. In an open letter, the 81-year-old cited 10 issues he wanted addressed - including a five-year business plan, commercial ideas and a proposed board. "We didn't expect to get a reply," BST chairman Steve Rowland told BBC Radio Lancashire. "We got a brief acknowledgement last week and now this interesting response from Owen. "I don't think it is anything to get very excited about yet however - we're in a very preliminary stage of what could be a long process." In his letter, Oyston outlined that his response is not the beginning of negotiations but an attempt to understand the details of the proposed offer. The way they have run the club has been unpopular with supporters over recent seasons. Protests have continued since Blackpool's relegation to League One, causing a friendly against Lancaster City to be abandoned because a pitch invasion and a game at Morecambe to be called off because of safety concerns about a planned demonstration.